Acclaimed as “No. 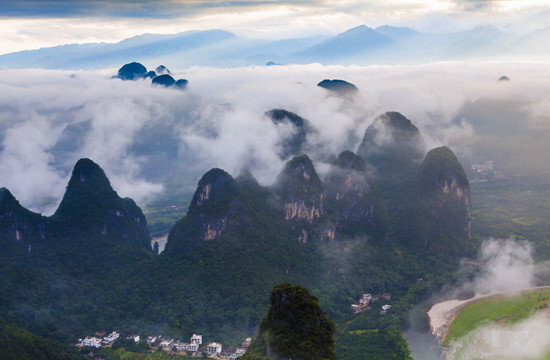 1 hot spring in South China”, the Longsheng Hot Springs (龙胜温泉) is nestled in the Longsheng Hot Springs National Forest Park (龙胜温泉国家森林公园), 132km northwest of Guilin City. 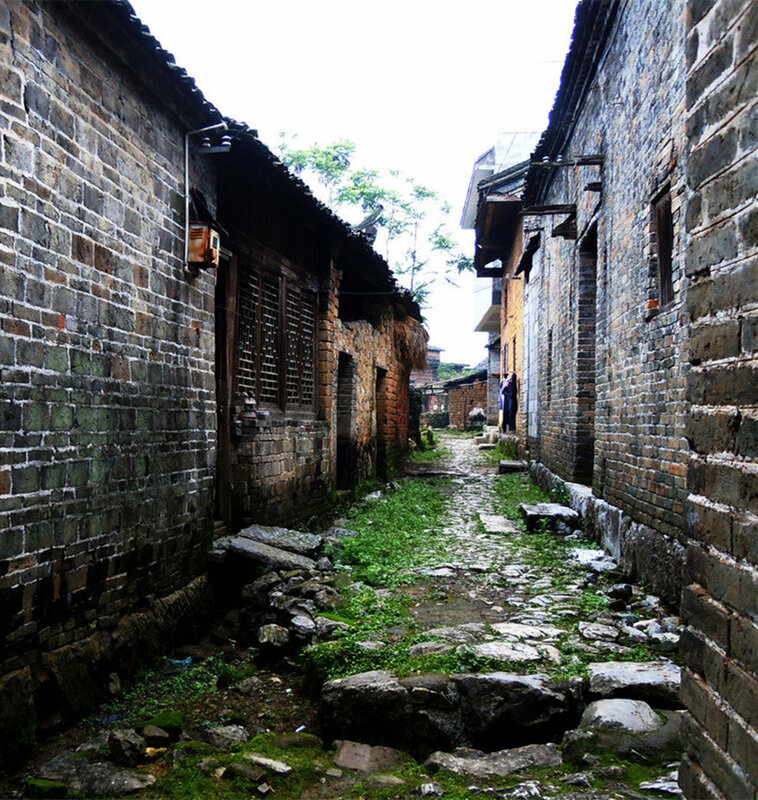 It’s a 40 minutes drive from Longsheng County. The water of hot springs comes out from the depth of 1200m under the ground with the temperature between 45oC and 58oC. 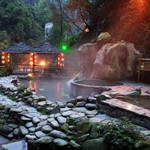 Enriched with more than 10 microelements, such as lithium, strontium, iron, zinc and so on, hot springs here can help to treat some diseases, including cardiovascular diseases, arthritis, diabetes, gout, skin diseases and the like. 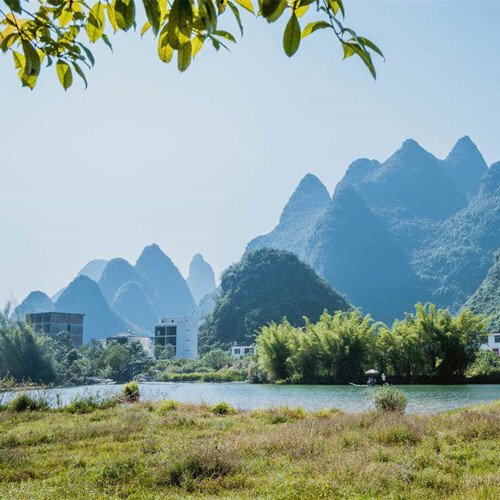 Thanks to its position, you can enjoy the natural oxygen bar with birds’ singing and colorful flowers when rejuvenating yourself in hot springs. 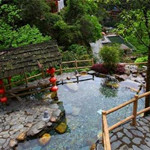 The Longsheng Hot Springs is a feast not only for your body, but also for your mind and soul. 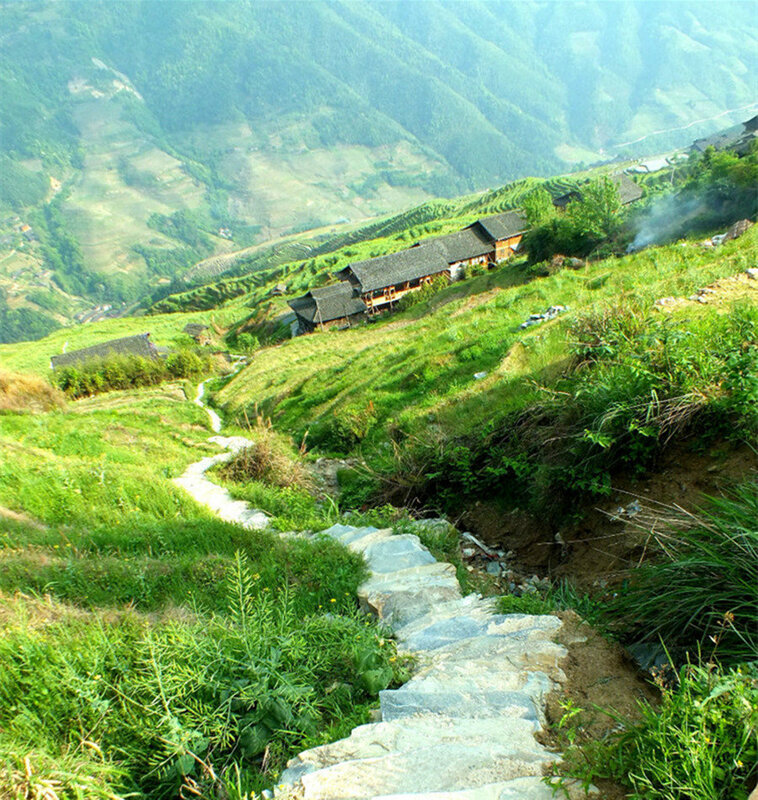 The Longsheng Hot Springs National Forest Park has extensive facilities for travelers. There are resort houses, bath centers, hotels, restaurants, malls, banks and entertainment venues. Visitors have the best of both worlds here-the park’s natural beauty combined with a plethora of modern conveniences. 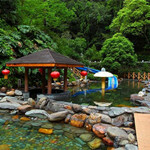 The best time to visit the Longsheng Hot Springs is between April and October. 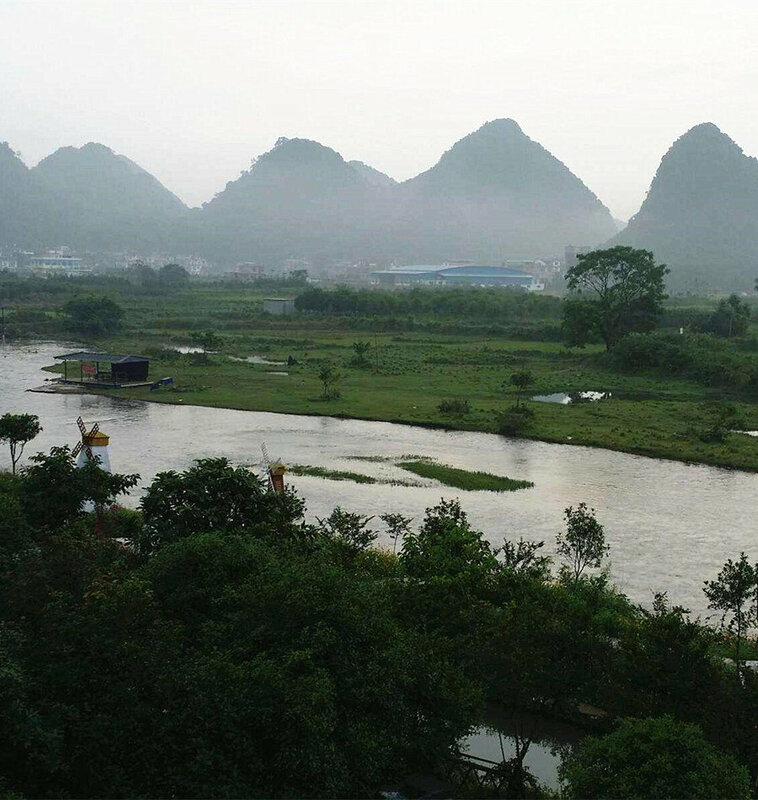 Getting there: Take a bus from the Guilin Qintan Bus Station (桂林琴潭汽车站) to the Longsheng Bus Station (龙胜汽车站). 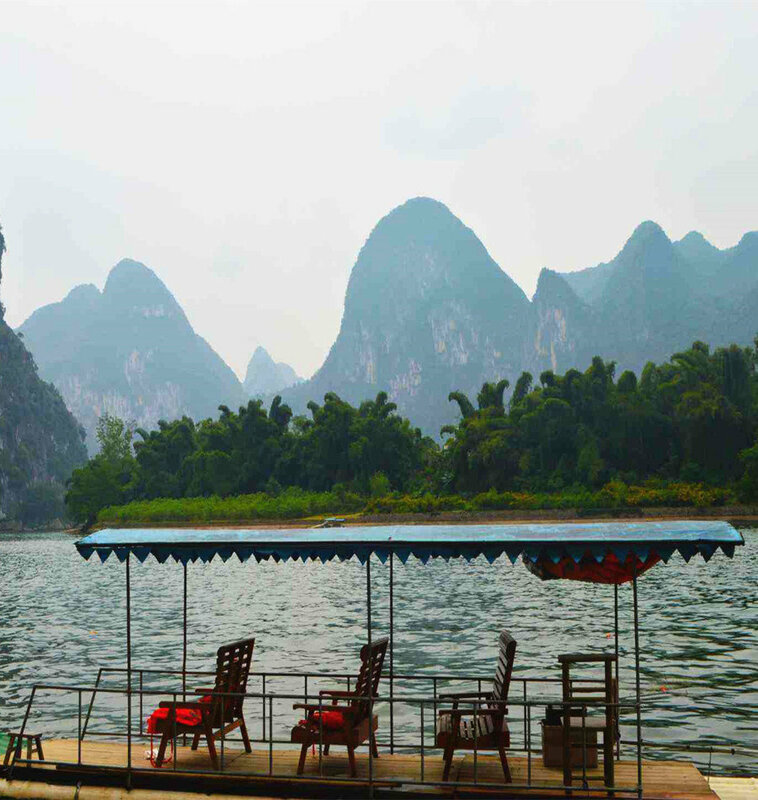 The fee is approximately CNY 35 per person. 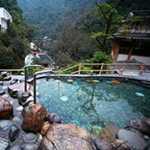 Then, go to the Longsheng Hot Springs from the Longsheng Bus Station by bus.